Not everything that glitters is gold, but it is definitely irresistible. For example, at a department store, when you’re in line for check-out, there are cute, small, handy items on display that are just so hard to avoid. They’re usually cheaper than the items on the racks. Socks, rubber bands, clips, umbrellas, keychains, lip balms and other items that you didn’t think you’d need, but now you just have to have something from that section. Of course, you need socks right now, how could you forget something so important? Or perhaps your cashier saw you eyeing that snazzy phone case and suggested that you pick up something cheap in order to avail a special offer? After that satisfying shopping trip, have you ever come home and wondered why you bought that pair of socks with such urgency? There’s a whole science behind it and today we’re going to fuse that with cutting edge WiFi technology to give you brand new marketing perspectives. This type of buying is called Pure Impulse Buying. It is truly impulsive in nature, an erratic purchase that breaks the normal buying pattern. It is likely that these type of purchases account for a relatively small number of impulse purchases. 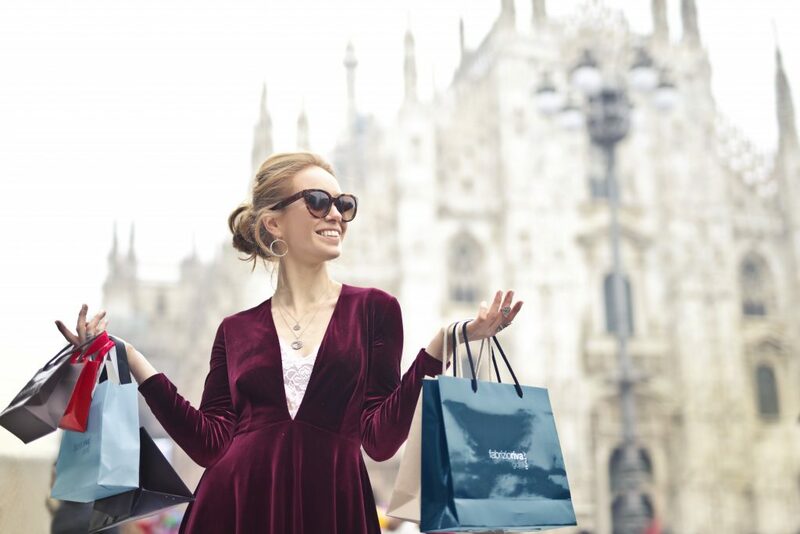 The reason for this is most buyers have a set routine for shopping and are not likely to deviate from the routine due to budgets and preplanning of the shopping trip. The shopper is fixed in their pattern albeit being susceptible to these purchases once in a while. Impulse buying comes from a customer mentality that in millennial terms is known as FOMO – the Fear Of Missing Out. The fear of missing out on something fun and exciting that is taking place without the customer is what drives this type of behavior. In the context of shopping, this would pertain to items that would seem like a miss-out if the customer didn’t buy it. Creating that emotion of FOMO is a multi-step process in the physical world that is expedited using the Guest WiFi. By setting a limited time frame for customers to act and claim their offer, you trigger their fear of missing out and make them more likely to act on your offer. Having customers download the store app over the guest WiFi in order to get a 50% discount, within the next 5 minutes is something that customers will rush to do, as it costs them virtually nothing. Gift the first two customers 50% off and the rest 10% off the next time they shop. A motivation for the customers to keep the app downloaded are these flash offers that your store gives them. Impulse buys are closely linked to price. The lower the price of the product, the greater the chance of customers giving in to their impulsive purchase desire. Having these located near the cash counter or near the more popular sections of your store will create a greater impact on the customers. One more way of reaching out to the customer via the guest WiFi solution is to have offers sent to customers who are in proximity to a particular product section. For example, a woman walking past the perfume section gets a notification on her phone of the latest perfume sample bottle being handed out at half price, which makes her want to check it out. Giving too many options can cause the customer to get confused and change their mind. By having a limited item stock in terms of variety and number of items present, makes it easier for the customer to make a purchases. Making the situation a cinch for the customer does the job. Having a QR code attached to each item bowl or basket gives the customer an option of seeing more colors or variations of the product on their phone. If the customer wishes to see more options online, they can do so virtually through the guest WiFi. Getting customers to buy small items impulsively is all a matter of strategy. By using an effective guest WiFi solution to increase impulse sales is truly a cutting edge idea that makes for smart entrepreneurship. If you wish to know more about what a guest WiFi solution can do for you, then do get in touch with our CaptiveXS team. We look forward to hearing from you.